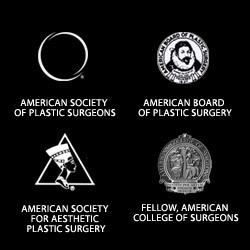 The latest statistics on cosmetic plastic surgery procedures for 2012 were released by the American Society of Plastic Surgeons (ASPS). Surprisingly breast augmentation is not the fastest growing procedure as it has been in the past. 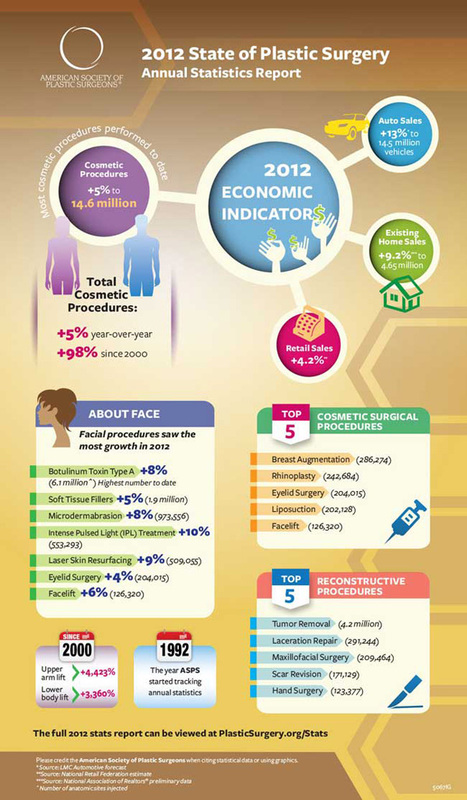 Cosmetic plastic surgery procedures show a 5% increase over 2011. This increase is fueled by the significant uptick in minimally-invasive procedures enjoyed by many San Francisco Bay Area patients such as; Botox, Dysport, Juvederm, Restylane and Radiesse. Facelifts increased by 6%, and eyelid surgery was up 4%. There are several different theories as to why facial rejuvenation is seeing such an increase. Some believe that facelifts became less popular during the economic downturn, but people seem to be feeling better about the economy and are more optimistic about the future. Also, it is believed as the “baby boomer” generation is growing older many are opting for methods to maintain their youth. They are staying active longer and remaining in a competitive work place much longer than even a decade ago. Note that while breast augmentation remains the #1 procedure, it was down 7% from 2011. Interestingly for men, male breast reduction surgery increased by 5%, this is believed to be attributed to increased awareness and acceptance of the procedure. This entry was posted on Friday, March 15th, 2013 at 1:23 pm	and is filed under Eye lid lift, Facial injections, Facial rejuvenation, Home. You can follow any responses to this entry through the RSS 2.0 feed. Both comments and pings are currently closed.